1. Aluminum barrel and ceramic coating, safe for hair. 3. 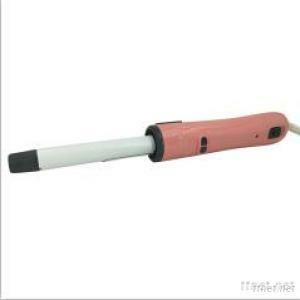 A smooth design hair curler iron, simple function, easy to use. 4. Materials: PC with UV coating. 6. LED indicators for temperature. 9. Heating time: about 1'30"